This is one hyper-violent movie. It’s also fragmented and choppy with unexplained and unrealistic sequences that go nowhere. Most images are so dark they’re difficult to see; many are so bloody they’re difficult to watch. Stylish? Sure. Incessantly and excessively focused on murder and mayhem? Most definitely. Its lesson is simple: If you plan on killing a man’s dog and stealing his car, be sure you have completely thought-through the potential consequences. In this case, those consequences include killing every Russian gangster in New York City wearing a suit. It’s ultimately mind-numbingly repetitious — and driven by ominous music, just to make sure you know that something deadly is about to happen. Every few minutes, someone is shot or knifed or kicked unconscious. This is movie where everyone knows everything and, when they’re not gunning down each other, they meet to talk things over. There are way too many characters who wander into this movie only to serve as soon-dead bodies. And so we’re immersed in an hour and a half of bullets, blood, betrayals and accelerating body counts. 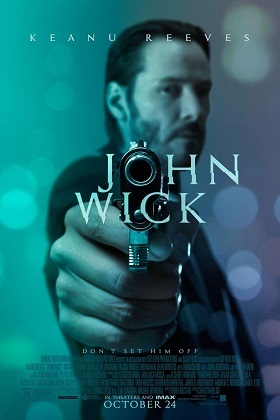 Every character has access to unlimited ammunition, but Wick seems to be the only accurate shot. It’s only a matter of time before everyone — except him — is dead. Too many of the situations are ludicrous; too many of the details are excessive; too many of the shots are unnecessary. We’re always just seconds from more gore; what’s missing is any sense of emotion other than anger and revenge. Unless you have taste for violent movies, stay home.